U660E Toyota bushing kit from Omega Machine & Tool Inc.
Omega Machine & Tool Inc. is pleased to announce our latest bushing kit, it fits the Toyota U660E transmission. See the list of applications below. 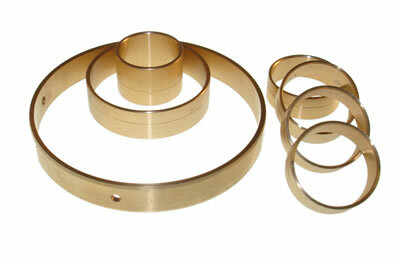 This kit contains the pump bushing for the early pumps with a hub diameter of 1.698". With the addition of our U660E/U760E larger pump bushing, this kit fits years up to 2014. If you have a 2111 and later vehicle, you will need to order our 96423 pump bushing to have the correct size pump bushing.